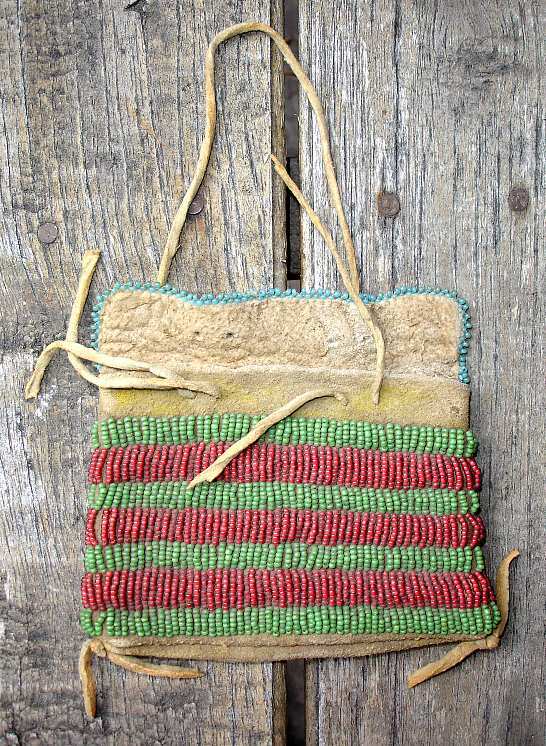 A nice little piece which is possibly Northern Cheyenne, it's a child's tipi bag, or possible bag. Red white hearts, and green beads alternate in bands, with trader blue beads around the flap. Beads are on brain-tanned hide.